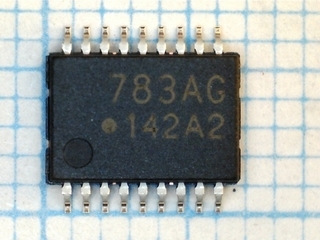 The TD62783AFNG is comprised of eight source current Transistor Array. These drivers are specifically designed for fluorescent display applications. Applications include relay, hammer and lamp and display (LED) drivers.